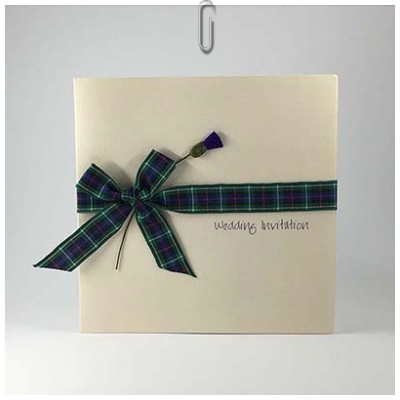 Thistle invitations offer something more unique, with miniature handmade thistles decorating the front of the cards. Tartan ribbon is available in many colours, tied in a bow, or a knot. Some designs include roses to add an extra touch, or two thistles entwined.